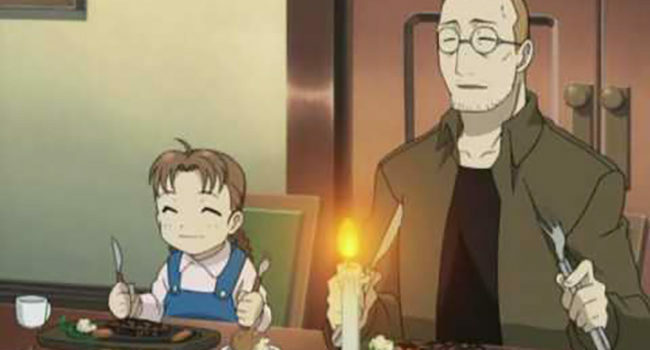 In Fullmetal Alchemist, Nina Tucker is the young daughter of Shou Tucker. She is a happy girl who loves her father and is often seen playing with the family dog Alexander. 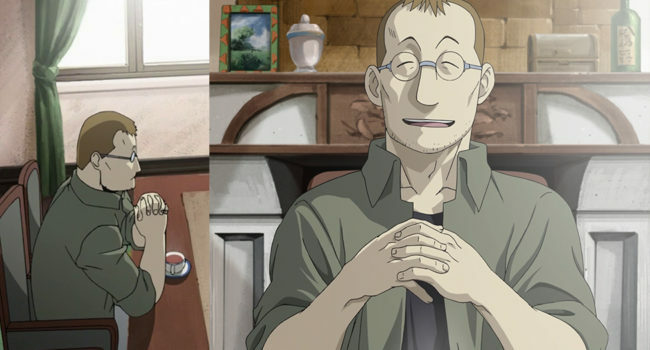 In Fullmetal Alchemist, Shou Tucker is the Sewing-Life Alchemist. Edward Elric and Colonel Roy Mustang pay a visit to his estate, where they meet him and his young daughter Nina. The clothes and shoes are self-explanatory, but if you haven’t figured it out, we’ll leave the dog and wig to your imagination. Dark, mysterious, and seductive, Lust (Laura Bailey / Kikuko Inoue) is a homunculus named after one of the seven deadly sins. In the Fullmetal Alchemist franchise, she is a major antagonist and enemy of Edward (Vic Mignogna / Romi Park) and Alphonse Elric (Maxey Whitehead / Rie Kugimiya). Lust is the only female homunculus and (in the manga/Fullmetal Alchemist: Brotherhood) serves as the leader until she is destroyed by Roy Mustang (Travis Willingham / Shinichiro Miki). Her homunculus mark is located on her chest as reference to her particular sin. Christine Auten) is also a master alchemist and a skilled martial artist. After leaving home, Edward (Romi Park / Vic Mignogna) and Alphonse Elric (Rie Kugimiya / Maxey Whitehead) find themselves under her tutelage, and she grows to love them as her own children. Izumi’s hair is either styled into dreadlocks or braids, depending on who you ask, but the rest of her signature outfit is very straightforward.